Built with feedback from EMS professionals all over the world, 5.11 Tactical Womens EMS Pants are designed specifically for female first responders. Made from rugged, fade-resistant 7.25 ounce poly-cotton twill and loaded with user driven features. Double reinforced seat and knees provide increased durability, while integrated kneepad pockets (kneepads sold separately) provide superior protection and comfort when working on concrete or asphalt. Full-size cargo pockets with internal dividers and external EMS-specific pockets give you plenty of room to organize your gear. The front pockets are extra deep and feature our coin-keeper construction plus reinforced bottom edges to protect the material from wear. The rear pockets feature 5.11's trademark slash pockets and utility strap, plus welted wallet pockets. 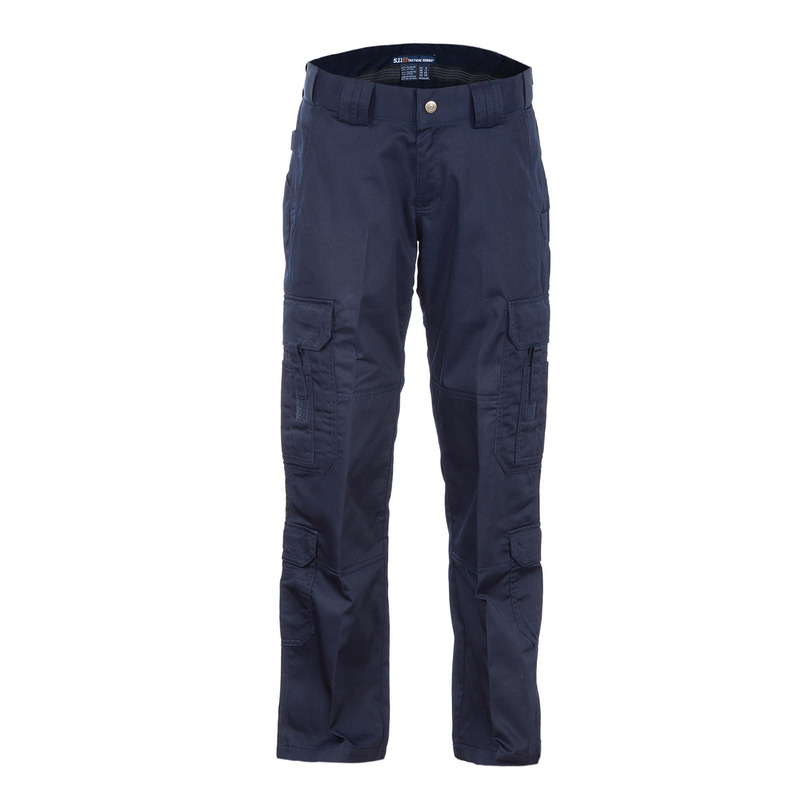 5.11 Tactical Womens EMS Pants give you all the tools you need to respond effectively. 2-30 1/4", 4-30 1/2", 6-30 3/4", 8-31", 10-31 1/4", 12-31 1/2", 14- 31 3/4", 16-32"
2-33 1/4", 4-33 1/2", 6-33 3/4", 8-34", 10-34 1/4", 12-34 1/2", 14- 34 3/4", 16-35"